The causal connections between Peak Oil, soil and food are key to understanding the risks facing the nation and world. 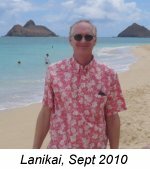 There are dozens of timeless guest essays in the thousands of pages of oftwominds.com archives, and I want to share some of them with new readers. Peak Oil and Soil (August 1, 2007) by Eric Andrews is a wonderfully succinct explanation of the connection between Peak Oil and its offspring, Peak Soil and Peak Food. 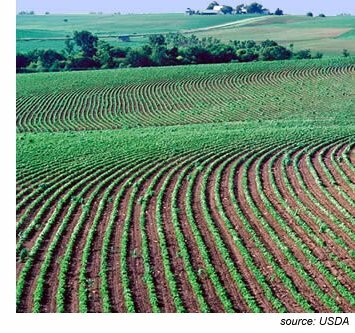 Relying on the centralized powers of Big Agriculture and Big Government to "save us" might not be a wise strategy; there are decentralized paths to a less risky, more sustainable mode of food production. Here are the first few paragraphs; click on the link to read the full essay. When discussing the value of soil especially in the context of Peak Oil, the devil is in the details. There are two parts to this:First is that readers may not realize the gravity of the situation concerning food and Peak Oil. There is a wing of the Peak Oil argument that statistically demonstrates how food presently can be said to be a form of oil. Numbers run as high as 10 calories of oil per calorie of food, which with 2,000 mile Caesar salads from California and 10,000 mile apples from New Zealand, is not hard to believe. In fact, every step of the food chain rests entirely on oil and cheap energy: seed production and storage; plowing and planting via diesel tractors; irrigation of the desert by diesel pumps; fertilizer created from natural gas, without which tired fields that have no natural tilth or manure could not otherwise produce; pesticides and herbicides created from oil and applied with tractors; the harvest by diesel combine and shipped by semi from remote areas; the drying of grain or year-round cold storage; shipping by truck center to the mill and then the grocery where coolers and air conditioning with computer registers and just-in-time inventory again support the entire process. In fact, there is less than a week’s supply of food in the entire food chain, while consumers—in contrast to America before 1960--hold less than a week’s worth of food at home in their refrigerators. The “Green Revolution”, which ended the famines of the 70s, could arguably be said to be a result of eating oil. The logical conclusion is that without cheap oil, we must again return to those times, except with 1/3 more population. Excerpted from Peak Oil and Soil. Thank you, Carl T. ($5/mo), for your wondrously generous subscription to this site-- I am greatly honored by your support and readership. Thank you, David D. ($10), for your much-appreciated generous contribution to this site-- I am greatly honored by your support and readership. House prices in desirable areas are declining, contradicting the "recovery" story. Without speculating on where housing valuations "should" be, what's your takeaway from these charts of individual home prices? Does this look like a "recovery" to you? Since everyone knows "real estate is local," I selected three homes in very desirable but not overly exclusive neighborhoods with excellent school districts and a history of strong price appreciation: two in Northern California and one in the Greater Boston region. 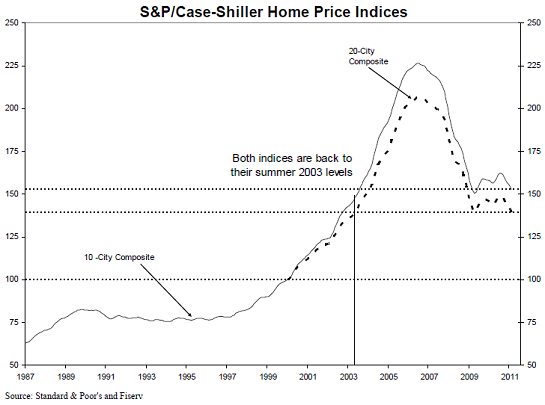 For context, here is the most recent Case-Shiller Index, which shows national home prices declining to 2003 levels. This chart traces a classic "bubble" with the top around the first quarter of 2007, followed by a sharp decline and a period of stabilization as the Federal Reserve and the Federal government intervened to support the housing market in an unprecedented fashion--buying $1.1 trillion in mortgages, issuing tax credits to buyers, etc. etc. Recently, the index turned down again, the dreaded "double dip." Interestingly, the charts from highly desirable neighborhoods have much different characteristics. The top of the bubble valuations occurred in a timeframe stretching from 2005 to 2008. There was no sharp decline in price, followed by a plateau; prices have dropped grudgingly but steadily from their apex. Prices are still in a free-fall, and there is still plenty of room left on the downside to fully retrace the bubble. 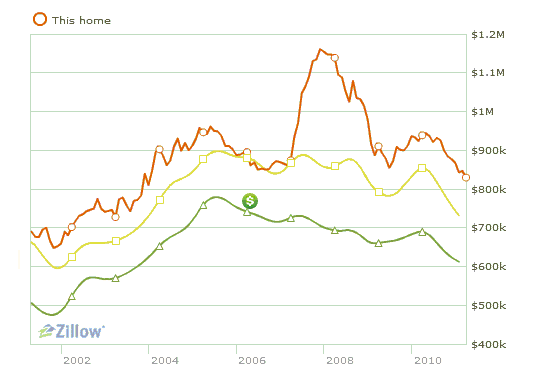 The cliche is that housing prices are "sticky" and decline slowly. While prices have been dropping for a few years, the decline seems to be accelerating rather than stabilizing. If we had to characterize the difference between the national chart and these left/right coast homes in desirable, upper-income areas, we'd have to say there was not much of a plateau, that price has "only" returned to 2004 levels and that declines accelerated in 2010. Here is a home that was completely renovated in 2002-3 in a middle-class suburb of San Francisco. The green line reflects the town's pricing history. This home is in the highly desirable "hills" of a San Francisco-area suburb, a desirability reflected in the bubble valuations above $1 million. The green line is the town's price history, the yellow is the zip code's price history. Clearly, some pricey sales in the neighborhood caused the value of this home to spike. Good schools and proximity to jobs--what's not to like in this Boston-area suburb? Strong price appreciation continued into early 2008, but since then price has fallen 22%. My takeaway is that price depreciation in these desirable areas has been orderly, but that it is far from finished. What I see is price surrendering in late 2010 as the "recovery" story loses credibility. The "story" in desirable neighborhoods has been that "there was no bubble here" or "prices aren't falling." The declines have certainly been less severe than those experienced by bubblicious areas where prices rose on pure speculation. BUt the fact that prices continue to weaken even as the "recovery" is supposedly gaining steam should give believers in the "recovery" story pause. 2010 was the perfect opportunity for housing in desirable areas to turn up. Instead, price declines accelerated to the downside despite record-low mortgage rates and a supposedly "firming" economy. It looks as if home buyers are voting on the "recovery" story with their feet. Thank you, Hudon C. ($5/mo), for your terrifically generous subscription to this site-- I am greatly honored by your support and readership. Thank you, Mike K. ($100), for your outrageously generous contribution to this site-- I am greatly honored by your support and readership. 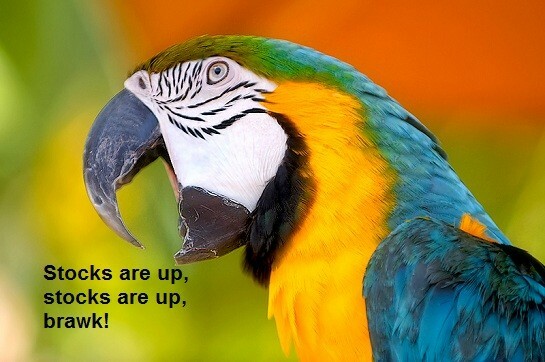 In which a parrot replaces Ben Bernanke, who shows up late looking OD'ed on Ibogaine. August 1, 2012: Federal Reserve Chairman Ben Bernanke once again defended the Fed's accommodative monetary policy at today's press conference. Mr. Bernanke was late to the conference, which was shielded from protesters by riot police. In his absence, a pet parrot was brought out to amuse the waiting journalists, who had been carefully vetted by the Fed to "represent the nation's media." The parrot had apparently occupied a perch in the Fed's conference room, for it repeatedly squawked, "Stocks are up, stocks are up." The Fed chairman finally emerged sometime later, looking somewhat distracted. Recent developments in the global economy have cast a shadow on the Fed's continuation of zero interest rates and quantitative easing, the term describing direct purchases of assets such as mortgages, Treasury bonds and stocks. As the dollar continued its slide, unemployed German workers shouted "Death to America" in mass protests in Germany's industrial heartland. With the euro worth $2, German exports to the U.S. have shriveled, causing a sharp contraction in the once robust German economy. In Japan, the 7th government in six months took power, vowing to continue fiscal stimulus, despite the failure of the policy. The dollar's decline has crushed Japanese exports to the U.S., as the dollar fetches only 55 yen, far below the breakeven point for Japanese exporters. Japan's new prime minister voiced support for the quatloo, the new petroleum-backed currency being touted by Saudi Arabia, China and PIMCO as a global alternative to the U.S. dollar. China's military deployed to 15 additional cities to quell the protests over rising food and energy prices. As the Chinese economy spiraled into that nation's first deep contraction, China's leadership continued to blame the Fed's policies for crushing the dollar and driving up commodity prices. Since the Chinese currency is linked to the dollar, then skyrocketing commodity costs caused by the sinking dollar are also affecting the Chinese economy. Just before the Fed press conference, President Obama announced that he was closing the commodity futures exchanges "to eliminate these speculators once and for all." He also announced that any farmer caught "hoarding grain" would face confiscation of the grain by Federal authorities. "We have to stamp out these evil speculators, whatever it takes," the President said from the safety of the White House, which has been surrounded by angry mobs protesting $10 per gallon gasoline. Gasoline suppliers responded to the closing of the futures exchange by raising the cost of fuel from $10 per gallon to $11 per gallon. Sweating profusely, Mr. Bernanke repeated the same message he's been giving the nation for over a year: zero interest rates and Fed purchases of assets to keep interest rates low would eventually create more jobs in the U.S., and the dollar would strengthen as foreign investors flocked to the U.S. Some observers have noted that this is at odds with the government's restrictions of foreign ownership of U.S. assets, following China's attempt to buy the bankrupt state of California earlier this summer. The Fed chairman also pointed to the Dow Jones Industrial Average surpassing 20,000 as evidence that the Fed's policies were "working as planned." A recent Bloomberg analysis of the low-volume market meltup found that most of the volume on recent trading days resulted from the trading of a single block of SPX shares, which were traded 4,200 times by primary dealers and then purchased by the Fed at the top tick of the day. Ignoring questions from financial media outlets, Mr. Bernanke took a question from theUFO Weekly representative on the Fed's views about Area 51 and alien spacecraft. Mr. Bernanke replied that alien spacecraft could handle the job of dropping money as well as helicopters, and then veered into a rambling discussion of the importance of managing perceptions, at one point shaking his fist and saying, "If only they knew the power of the Dark Side." To the consternation of onlookers, the chairman then vowed to "crush the bears, all of them" and said "you will see Dow 36,000 sooner than you can possibly imagine." When a heckler asked about rising grain prices, Mr. Bernanke shot back, "Let them eat stocks." After the chairman was led away by aides, some who had witnessed his erratic behavior and tirade noted an uncanny resemblance to those suffering from overdoses of the illegal drug Ibogaine. In other news, President Obama continues to poll well in Washington, D.C. just a few months before the 2012 presidential election, but is trailing comic character Alfred E. Neuman in the rest of the country. Republican candidate Donald Trump's campaign declared bankruptcy, which Mr. Trump characterized as "a necessary step to greatness. Bankruptcy is the basis of any great business." Long-term Treasury yields shot up to 18% as the market absorbed the possibility that once in office, Mr, Trump would pursue bankruptcy as a national policy. Thank you, Christine N. ($5/mo), for your much-appreciated generous subscription to this site-- I am greatly honored by your longstanding support and readership. Thank you, David S. ($5/mo), for your extremely generous subscription to this site-- I am greatly honored by your support and readership. The bursting of the housing bubble wiped out half of the net worth of the Mortgaged Middle Class. 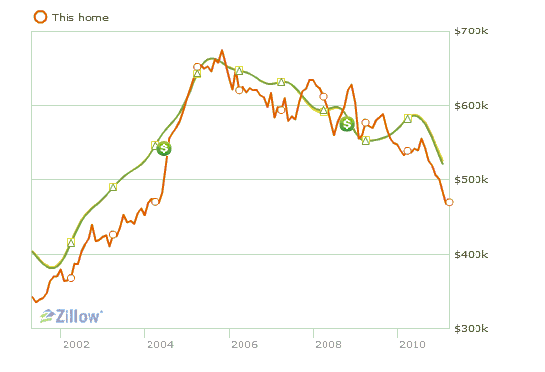 On the face of it, American households were not that affected by the bursting of the housing bubble. If we look at the Fed Flow of Funds report, the Balance Sheet of Households and Nonprofit Organizations, we find that net worth only declined by about 11% ($7.3 trillion) from 2007 to 2010: a $2.9 trillion decline in financial assets and a $4.9 trillion decline in tangible assets, i.e. 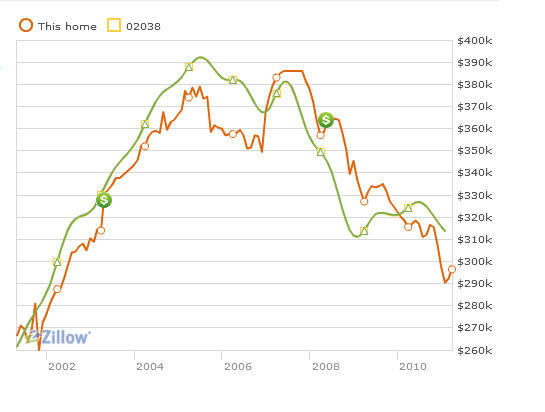 real estate and consumer durable goods. If we look beneath the surface at the distribution of wealth, the picture isn't so benign. Over the years I have often posted the basic facts of wealth distribution and housing in the U.S., for example Will Delinquencies Trigger a New American Revolution? (April 7, 2008). The numbers have changed from 2008, of course, but the basic outlines and percentages have not. Beneath the surface, most of the income and wealth is held by the top 10% of households. Over a quarter of households are at or below the poverty line; they have no appreciable assets and depend heavily on government transfers. Almost half of the total income (47%) goes to the top 10%, and 21% flows to the top 1%. A record 18.3% of the nation's total personal income was a payment from the government for Social Security, Medicare, food stamps, unemployment benefits and other programs in 2010. Wages accounted for the lowest share of income — 51.0% — since the government began keeping track in 1929. If we extrapolate the additional 6% increase in transfers, that comes to $700 billion. So roughly 70% of the increase in personal income was simply money borrowed by the Federal government (recall the $1.6 trillion annual Federal deficit) and distributed to the citizenry. In other words, people aren't making more money--the Central State is simply borrowing more and it's being counted as "income" when it's distributed. There are about 105 million households in the U.S. and about 72 million owner-occupied dwellings. Roughly 25 million are owned free and clear, and 48 million have a mortgage. Let's look at homeowner's equity, which stands at 38.5%. Equity is what's left if you sell your house and pay off the mortgage. About 27% of all homeowners (13 million) are underwater, i.e. their house is worth less than their mortgage. This is called negative equity, but in practicality it means zero equity. Since a third of all homes are owned free and clear, then their equity is 100%. Assuming a broadly even distribution of these homes owned without mortgages (most likely, the majority are owned by elderly people who paid off their mortgages), then we can conclude that 33% of total owner's equity resides in these homes owned free and clear. That leaves 5.5% of total equity spread among the 35 million mortgaged homes which are not underwater. Calculated another way: household real estate is worth $16.4 trillion, and there is $10 trillion in outstanding mortgage debt, so total equity is $6.4 trillion. 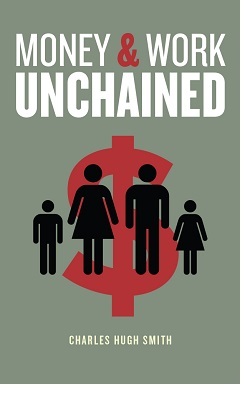 One-third of homes are owned free and clear, so one-third of $16.4 trillion is $5.4 trillion. $6.4 trillion - $5.4 trillion = $1 trillion in equity spread over 35 million homes. That's not much--roughly 1.8% of all household net worth. The family house was the traditional foundation of household wealth. 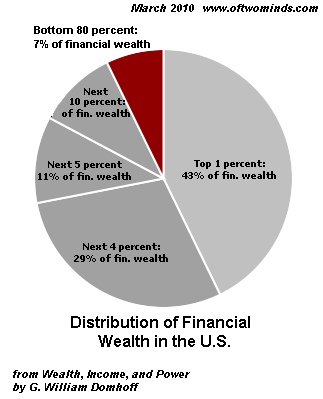 As for all those trillions in financial wealth--as we all know, 83% is owned by the top 10%. So here's the reality: over one-fourth of all households are at or below the poverty line: 28 million. The top 10%--10.5 million households--own the vast majority of the financial assets ($45 trillion)(the total owned by non-profits is not broken out). The next 10% own 10% of this wealth, or about $4 trillion. So the top 21 million households own 93% of all financial wealth. The Great Middle Class between those in poverty and the top 20%--56 million households-- owns about $2.7 trillion in financial wealth, and the millions with mortgages own an additional $1 trillion in home equity. That comes to $3.7 trillion, or about 6.5% of the total household net worth. Consumer durables--all the autos, washing machines, jet-skis, etc.--are worth about $2.2 trillion ($4.6 T = $2.4 T in consumer debt). Add the durables and the other wealth, and the Great Mortgaged Middle Class holds about 10% of the total household wealth ($5.9 trillion). Before the housing bubble, households owed about $5 trillion in mortgages. The housing bubble came along, introducing the fantasy of home-as-ATM-cash-withdrawal-machine, and mortgages ballooned to over $10 trillion. Back at the top of the bubble, the middle class had $6 trillion more assets on the books. Considering the Mortgaged Middle Class now owns about $6 trillion in net assets, then the bursting of the housing bubble caused their net worth to drop by 50%. I'm not making any political statement here--these are the numbers. Thank you, William D. ($5/mo), for your extremely generous subscription to this site-- I am greatly honored by your support and readership. Thank you, Daniel B. ($10/mo), for your outrageously generous subscription to this site-- I am greatly honored by your support and readership. The Crash Course is now available in book format. Many of you are already familiar with Chris Martenson's "The Crash Course" video and website. 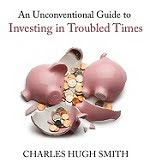 Chris now has a book version which joins the small shelf of books I recommend as starting points for understanding our collective future: The Crash Course: The Unsustainable Future Of Our Economy, Energy, And Environment. Those of you who have seen Chris lecture know he has a very down-to-earth, succinct, data-driven approach to explaining Peak Oil and Peak Everything, and he has brought these same characteristics to the book. Anyone giving The Crash Course book as a gift this year is going to look very prescient come 2012. I appreciate that Chris doesn't claim to have a crystal ball about the future (nobody has one); instead, he offers several plausible scenarios and frames a practical perspective that invites any level of participation: what Chris calls "step zero," the step before Step One. I know Chris personally, and while that undoubtedly colors my assessment of the book, I don't think it the key factor in my recommendation. 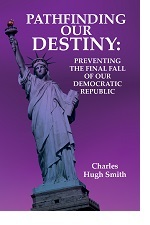 A job well done, Chris--thank you for putting the Crash Course into book form. Like many of you, I have read dozens of books on peak oil, the financial mess, etc. 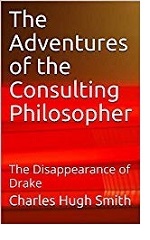 etc., and while I have learned valuable things from all of them, I would recommend a handful as especially suitable for those to whom these concepts are new. Alternatives to "wealth means owning my own private island and jet"
The latter is my own work, and if I had to characterize what it adds to the mix, I would hazard that it covers the consumerist mindset and speaks directly to the politics of our experience and the role of enterprise and localized political action going forward. Please review my entire list of books and films if you haven't done so recently. Thank you, Thomas M. ($20), for your most generous contribution to this site-- I am greatly honored by your support and readership. Thank you, George B. ($5), for your much-appreciated generous contribution to this site-- I am greatly honored by your support and readership. There are two economies--the real one, which is in decline, and the "let's pretend" one touted by the State and corporate propaganda machines. Also ignore that Big U.S. Firms Are Shifting Hiring Abroad. Let's pretend that households, corporations and government are reducing their debt. To do that, we have to ignore that the debt-junkie (i.e. 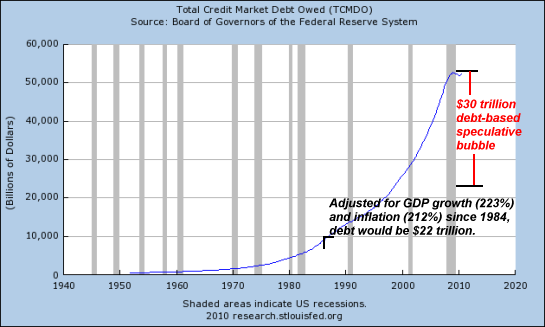 the U.S.A.) hasn't kicked the monkey off its back, it just keeps feeding it more debt. David Stockman dismantled all that propaganda about corporations sitting on trillions in cash--they're sitting on even bigger piles of debt: Federal Reserve’s path of destruction. He also takes out the claim that "consumers are deleveraging." Consumer debt has barely budged. Excuse me but that cute little debt monkey on your back is actually an 800-pound gorilla. Let's pretend that wages are rising. 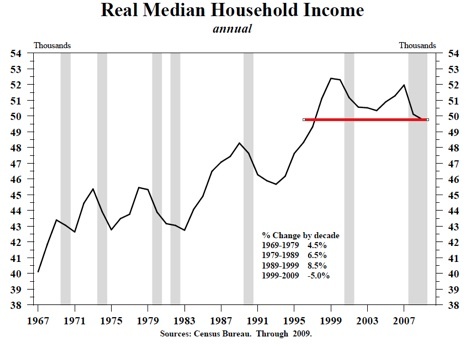 Except they aren't--household income is getting creamed. Real wages are back to the pre-dot-com bubble days of 1996--only the debt load on households and the nation have skyrocketed since then. Put another way: this is your wage priced in gasoline. Notice how wages tanked when oil hit $140/barrel in the summer of 2008, and how the brief plunge in oil around Q1 2009 caused a spike in the ratio. Now that the Fed is destroying the U.S. dollar, then oil is back over $100 and well on its way to $120 and higher. Let's pretend your purchasing power isn't in a free-fall. Have you eaten an iPad recently? Yum, crunchy! Let's pretend unemployment is falling. 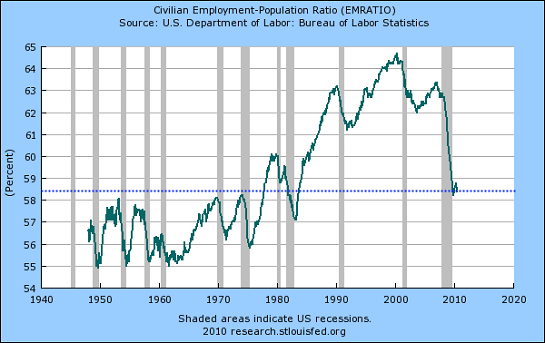 The only way to make losing 7 million jobs look good is to ignore this chart of the ratio of civilian employment to population. The ratio is back to the 1970 level, back before Mom, Sis and Aunty all went to work. This means there are fewer people working to support the population. Fewer workers means higher taxes on those still standing, and higher debt loads on them, too, as they have to service household debt, student loans, underwater mortgages and a Federal debt that's exploded higher by $1 trillion a year just since the "end of the recession." 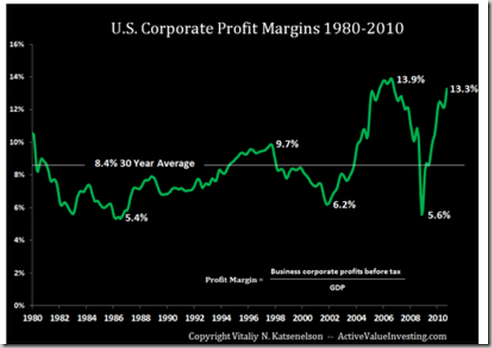 Let's pretend corporate profits are the most important metric of our financial well-being. 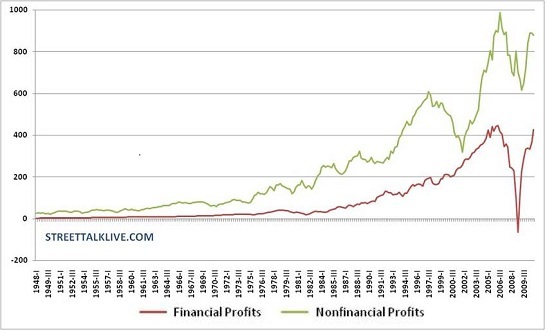 Who benefits from the surge of corporate profits to record levels around $1.6 trillion, or 11% of GDP? The 21 million employees of global Corporate America certainly do, but then they represent about 16% of non-farm employment, roughly in line with government employment (22 million). 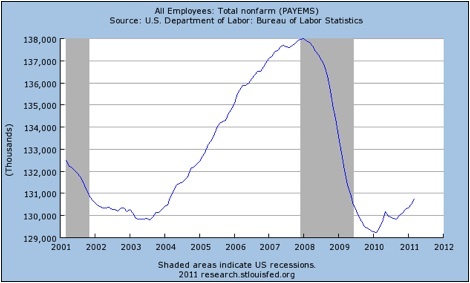 Too bad Global Corporate America is hiring where the growth is faster and the wages lower, i.e. 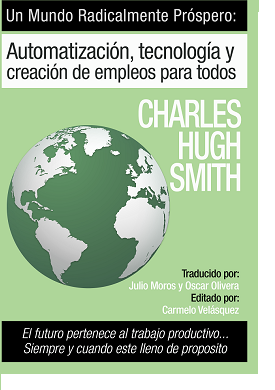 overseas (Big U.S. Firms Are Shifting Hiring Abroad). Let's pretend those great profits trickle down to the greater good. Only they don't. Corporate taxes (around $330 billion annually) cover less than 10% of Federal expenditures (Federal Budget 2009) and despite those record profits--surprise, Corporate Tax Receipts Plunge 31% in Q1. The tax avoidance Panzer divisions of Global Corporate America are simply unstoppable forces of Nature, it seems. Corporate welfare queens never had it so good. But let's pretend those profits increase the wealth of a broad spectrum of citizens.Oops, the top 5% of households collect 72% of the corporate profits. 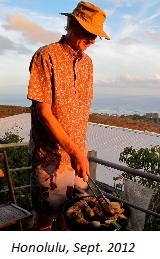 Financial wealth such as stocks, bonds and other securities are liquid and therefore easily converted to cash; these assets are what Dumhoff describes as "non-home wealth" on his website Wealth, Income, and Power. Never mind that, let's pretend the corporate profits trickle down via the "wealth effect" to pension funds that benefit workers everywhere. Too bad that according to the Fed flow of funds data, this rousing, raging Bull Market in stocks fueled by stupendous corporate profits has only brought total pension fund assets back to their 2007 level: $13.3 trillion in 2007 and $13.1 trillion in 2011. Adjusted for inflation (as measured by the Bureau of Labor Statistics), the pension assets would have to be over $14.3 trillion just to stay even with their value in 2007. So pension funds have actually declined by over $1 trillion in real dollars in the Great Bull Wealth Effect. So the wage earner's pension assets have actually fallen. We got your wealth effect right here, buddy, right next to the "recovery." And the check's in the mail, we promise. How much longer are we willing to play "let's pretend"? Eventually we'll have to return to the grown-up world and deal with reality. Thank you, Scott B. ($75), for your immensely generous contribution to this site-- I am greatly honored by your support and readership. Thank you, James L. ($5), for your much-appreciated generous contribution to this site-- I am greatly honored by your support and readership. What's the obvious contrarian trade? 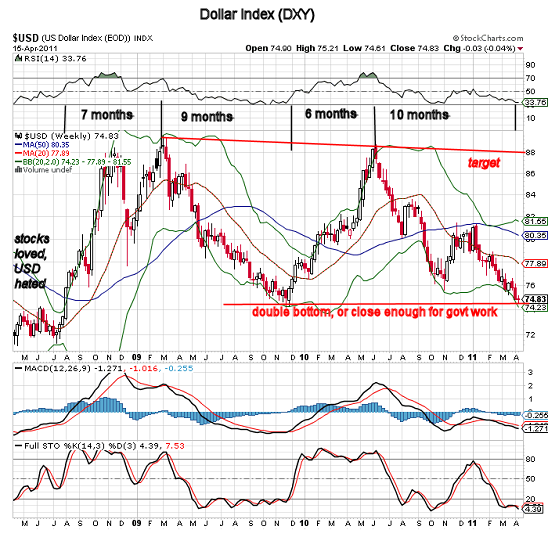 Long the U.S. dollar. 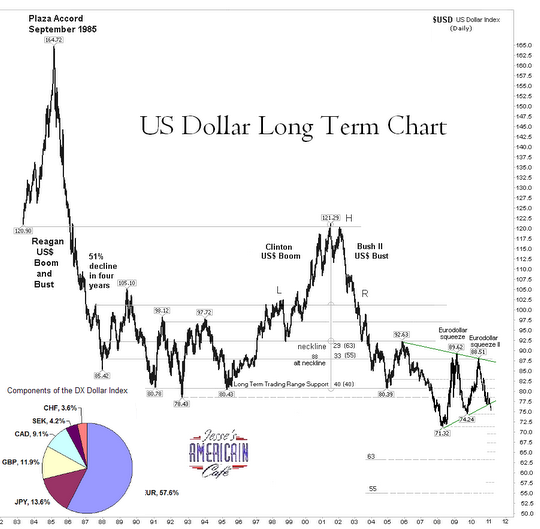 I've been discussing the U.S. dollar since January (Could the U.S. Dollar Rise 50%?January 12, 2011), based on a simple trading observation: it's the most despised investment on the planet. Warren Buffett famously said "Try to be fearful when others are greedy and greedy when others are fearful." This is a classic description of contrarianism: that the way to reap big profits is to do the opposite of the herd. By what metric do we measure extremes of greed and fear? There are various technical tools like the VIX "fear index," but if there were a perfect measure then everybody would be using it, and then of course it would lose its edge. Another way of saying the same thing is to buy what's completely hated and sell what's over-loved. At this juncture that would suggest selling AAPL (Apple) and buying the U.S. dollar, which is almost universally expected to go to zero. Let's stipulate that barring drastic political changes which are unlikely, the case for eventual devaluation or destruction of purchasing power via inflation is strong. As Jesse at the always excellent Jesse's Cafe Americain recently noted, the question is when. Another way of stating this same trade is gold is destined for $3,000/ounce and oil is inevitably on its way to $300/barrel. The reasoning behind such projections are sound: as the dollar loses purchasing power, then gold and oil will rise when priced in dollars. These kinds of projections are mirrored by some wild claims for stocks: that Apple will be the first $1,000/share stock, that the Dow is heading for 36,000, and so on. The question is: what sort of conditions will be present when all this happens? If it takes $1,000 to buy a loaf of bread, then $1,000 for a share of Apple stock might well be cheap. As I have noted before, there really is only one trade in the global markets: the U.S. dollar on one side and everything else on the other. Stocks, the euro, the yuan, real estate, precious metals, commodities, bat guano, quatloos, you name it, they're all trading in tight correlation against the dollar. The ubiquity and virulence of anti-dollar sentiment reminds me of the sentiment toward gold in 2000. Gold had underperformed for 18 years, while stocks had made dizzying gains in that same time span. Buying gold in 2000 was for the deranged or sadly deluded. Looking back, selling stocks and buying gold at $300 an ounce in January 2000 was a very low-risk and profitable investment. When sentiment is extreme, then that can be taken as a contrarian signal. Nothing is more hated and loathed than the U.S. dollar, which is widely perceived as on a one-way slide to Doom. If we stipulate this is a high-probability endgame, the question for those trying not to lose purchasing power is: when will it go to zero, and under what conditions? My point here is simple: only rarely does consensus line up so powerfully behind one meme. It is accepted without debate that the dollar is going to zero, and those who state this as being as obvious as gravity (Marc Faber, for example) do grant that it can rise temporarily as a trade. As a trader, I don't see much payoff to betting the dollar is doomed if the endgame is 10 years out, or even 5 years out. A lot can happen in 5 years. One reason I am seeking contrarian trades is the present zeitgeist reminds me of very strongly of mid-2007, when the global financial situation was obviously precarious, yet stocks remained at elevated levels for another year before imploding. 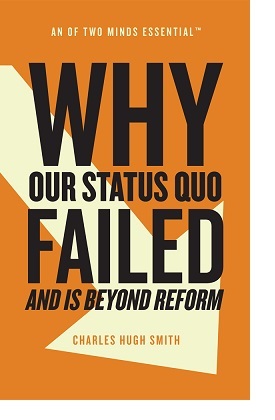 I rather doubt the Status Quo can extend and pretend for another year, as it has already taken unprecedented gambles for the game to continue the past three years. But maybe they can play the thing out another year; the more energy and money it takes to keep the Status Quo afloat, the more strain is being placed on the system. Bubbles take a while to pop, and the length of time they continue inflating often defies reason. In 1999 the voices of reason said the stock market bubble was already dangerously inflated, yet it continued inflating for another year. When will the current global bubble pop? That is unknowable, but the clock is definitely ticking. As a trader, I see one trade: the dollar vs. everything else. That means if everything else tanks, then the dollar will rise. As a trader, I don't really care about the fundamentals of this possibility, or the complex reasons why it's "impossible." All sorts of "impossible" things happen, often very perversely when everyone seems to believe they are impossible. 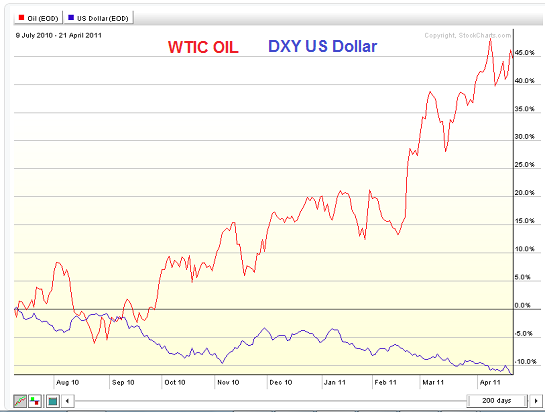 Courtesy of Jesse, here is a long-term chart of the dollar (USD) as measured by the DXY index. Other observers are also seeing signs that a reversal is likely in the USD, for instance, the always insightful dshort.com: dollar due for a bounce? I've marked up a chart of the DXY with some observations. As you can see, there is an upside target of 88, which represents a 17% gain from today's price. That's not great, but if everything else tanks, 17% might look bountiful to those who can't play the short side and must be long something. Notice the pattern of the past few years: the dollar declines for 9-10 months and then rebounds for 6 or 7 months. Interestingly, that suggests the dollar might rise until late September or October, and then reverse in November, a seasonably positive turning point for stocks. It's not very complex, but being long the dollar until October and then switching over to play a rebound in stocks looks like a potential trade. This is only the freely offered rambling of an amateur observer, of course; do your own analysis and make your own decisions. Thank you, James M. ($20), for yet another magnificiently generous contribution to this site-- I am greatly honored by your support and readership. Thank you, Helen S.C. ($8), for another of your many oustandingly generous contributions to this site-- I am greatly honored by your support and readership.